Whether you’re looking for a fun corporate cookery team building event, a memorable way to entertain your clients or a powerful new technique to train your staff, Cookery School at Little Portland Street can organise an event to suit you. With over 13 years of experience, we are experts at delivering what we promise: fantastic corporate events in a relaxed, yet professionally structured environment. Our chefs are experienced and friendly and we pride ourselves on having a high chef-to-attendee ratio so that everyone is well supported. 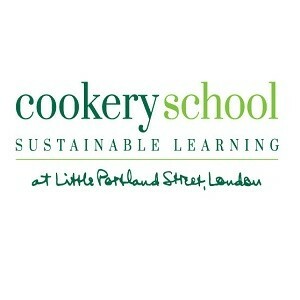 As the only Cookery School in London with 3 Stars from the Sustainable Restaurant Association, we are proud to use only the best ingredients, organic and locally sourced wherever possible. Participants will leave us with a sense of achievement, having savoured a delicious meal cooked by them and served by our team, along with organic wines.